I know a lot of you don’t want to think about exams coming up. It is that time where some of you have started studying trying to be extra prepared, and some of you are just trying to push it off so you don’t have to think about it. 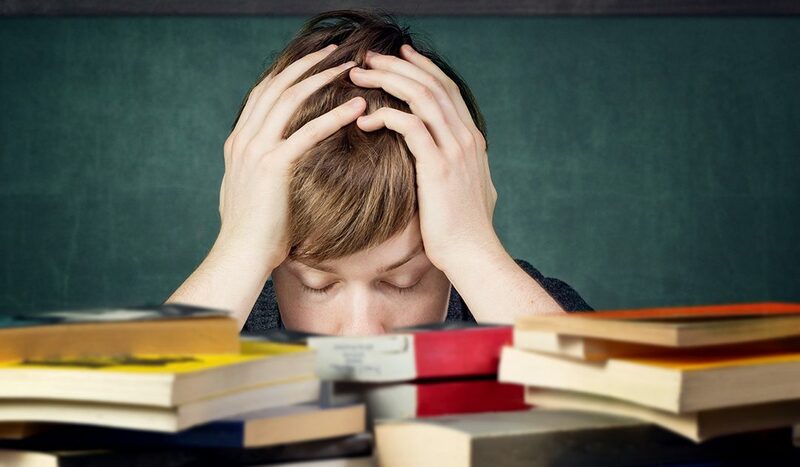 Depending on what side you are when it comes to when to start studying for exams, most of you have started to feel the pressure and stress of the exams coming up. That’s where we come in, with 5 tips on how to handle stress of these upcoming exams. Lifting weights, going for a run, or even walking, no matter what it is as long as you are getting some sort of physical activity it will help reduce stress. I know it is hard to find time during your busy schedule to get out and be active, but trust me it will help you. It is hard sometimes having the motivation to study for your exam by yourself, that’s when you should study in a group. If you were to study in a group having people that you are accountable to will force you to actually study. Studying in a group, if your group is actually focused on studying, could be a more effective way when it comes to retention of the course material you are likely to see on the exam. I know some of you are tempted to stay up all night to finish projects, or as we get closer to exams stay up all night studying. Getting enough sleep is something that will dramatically improve your mood and reduce stress. I know you might not be able to get as much studying in if you don’t stay up all night, but this all night studying will be useless if you can’t remember a thing because of your brain being overloaded and exhausted. I know this is kind of self explanatory, but keeping notes over the term would help ease studying in turn reducing the stress of exams. I know some of you haven’t followed this advice from the beginning of the term; if this is the case there is still hope. Even if you take notes from this point on it is still better than not taking notes at all. You can also go back and make study notes from the textbook or lecture slides. Not all places were created equal when it comes to studying. Studying at home when your roommates are loud and preventing you from paying attention might not be as well suited as the library. If you are not getting quality studying in ahead of your exam, this will be a major issue when it comes closer to the exam date. Find a place where you can get your studying done without interruptions. This time of the term stressful for everyone; some people handle it better than others. If you are looking for more tips on dealing with exam stress, please take read through our other blog posts about exams and managing stress as a student. Good luck in these final tough weeks of the term – you can do this!